Below you fill find all funeral homes and cemeteries in or near Raymore. Suburbs of Raymore: Lees Summit. 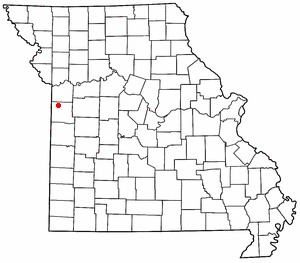 Raymore is also known as: Cass County / Raymore city. Their current mayor is Mayor Joseph Burke III ♦. Zip codes in the city: 64083. Some of the notable people born here have been: (luke snyder (bull rider)), and (clyde aufner). It was disclosed on September 23rd, 2018 that Iris "Toni" Hillenbrand (Santoni) passed on in Raymore, Missouri. Ms. Hillenbrand was 91 years old and was born in Iron Mountain, MI. Send flowers to express your sorrow and honor Iris "Toni"'s life. It was disclosed on April 19th, 2017 that Brenda J Chipps (Lehman) passed away in Raymore, Missouri. Ms. Chipps was 57 years old and was born in Topeka, KS. Send flowers to share your condolences and honor Brenda J's life. It was noted on September 14th, 2015 that Dorothy R Gutterman (Karstetter) passed away in Raymore, Missouri. Ms. Gutterman was 86 years old. Send flowers to express your sorrow and honor Dorothy R's life. It was revealed on November 10th, 2014 that Dorothy Mae Trotter (Vest) died in Raymore, Missouri. Ms. Trotter was 92 years old and was born in Osawatomie, KS. Send flowers to express your sympathy and honor Dorothy Mae's life. It was noted on August 6th, 2014 that Carle C Jr Hall passed away in Raymore, Missouri. Hall was 73 years old and was born in Des Moines, IA. Send flowers to express your sympathy and honor Carle C Jr's life. It was revealed on December 21st, 2013 that Helen Marie Treadway (Bergwell) perished in Raymore, Missouri. Ms. Treadway was 94 years old and was born in Galesburg, IL. Send flowers to express your sorrow and honor Helen Marie's life. It was revealed by Columbia Daily Tribune on December 1st, 2013 that Robert O Wertenberger passed away in Raymore, Missouri. Wertenberger was 90 years old. Send flowers to express your sympathy and honor Robert O's life. It was revealed by Index on May 22nd, 2013 that Marie J Frey (Kesel) died in Raymore, Missouri. Ms. Frey was 97 years old. Send flowers to express your sympathy and honor Marie J's life. It was revealed on April 7th, 2013 that Josella J White (Bertone) perished in Raymore, Missouri. Ms. White was 89 years old and was born in Frontenac, KS. Send flowers to express your sympathy and honor Josella J's life. It was written on March 28th, 2013 that Evelyn Jean Benander (Pennick) perished in Raymore, Missouri. Ms. Benander was 87 years old and was born in Topeka, KS. Send flowers to express your sorrow and honor Evelyn Jean's life. Raymore is a city in Cass County, Missouri County, Missouri, United States. . . . . The official website for the city of Raymore is http://www.raymore.com. Visitation 2-4 p.m. Sunday, November 7, 2010 at Cullen Funeral Home, Raymore, Missouri with graveside services 1 p.m. Monday, Nov. 8, 2010 at Pleasant View Cemetery, Blue Mound, Kansas. Memorials may be made to Crossroads Hospice or Salvation Army. Cullen Funeral Home provides complete funeral services to the local community. Find BBB Accredited Funeral Services near Raymore, MO - your guide to trusted Raymore, MO Funeral Services, recommended and BBB Accredited businesses. Find BBB Accredited Funeral Directors near Raymore, MO - your guide to trusted Raymore, MO Funeral Directors, recommended and BBB Accredited businesses. We work with local florists and flower shops to offer same day delivery. You will find budget sympathy flowers in Raymore here. Our funeral flowers are cheap in price but not in value.